THP Driving Simulator opens eyes of Rhea County Students - Rhea County Sheriff's Dept. 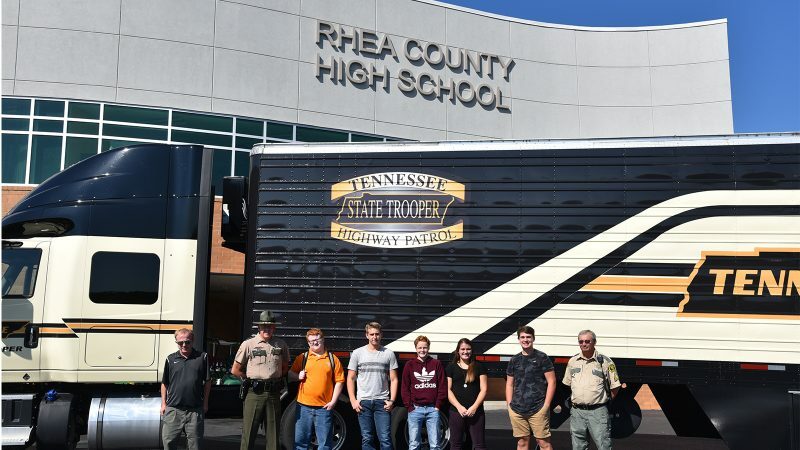 Evensville, TN — The Teens and Trucks Share the Road Program came to Rhea County High School on Tuesday, September 26th, as the Simulators mounted on the bed of an 18 wheeler gave an opportunity for around 100 students to come and utilize the driving simulator to critique their driving and help point out some of the dangers out there on the road. 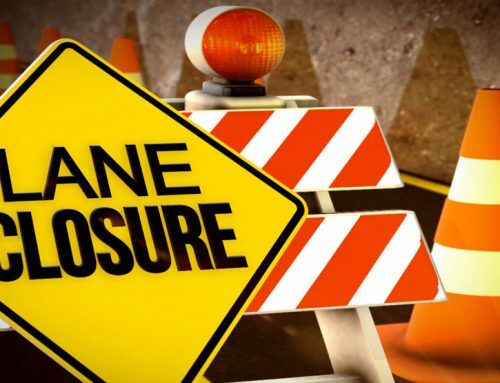 The Rhea County Sheriff’s Department worked with the Tennessee Highway Patrol to coordinate the event. This was the first time the simulators visited Rhea County High School. The Program is focused on Teens and Trucks because of the number of traffic accidents that involve teens and large trucks. 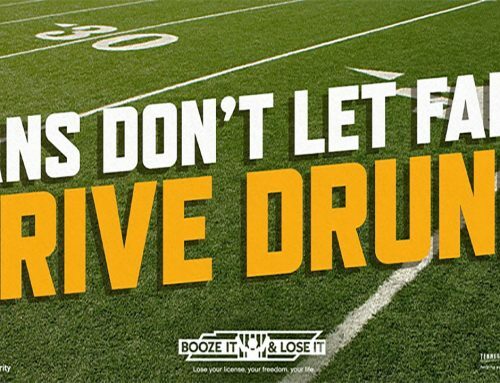 The program also shows the perils of not focusing on driving, which could be cell phone use and other distractions that cause traffic accidents. Since large trucks are so much larger they represent an even greater danger than cars on the road. Is is also important to remember many deaths can be cause by being hit by large trucks after the initial accident. During the simulator use, the students could see how quickly accidents could happen if they were not totally focused on driving. 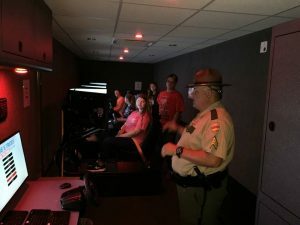 Tennessee State Trooper Alan Bailey and John Harmon were on hand to help the students with simulator and explain some of the dangers the youth will face on the road. Troopers also clarified some of the safety rules for drivers. 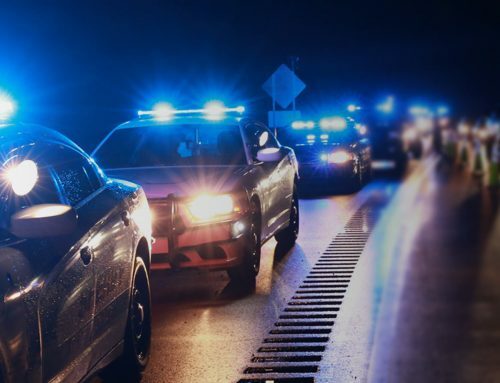 One important one is for drivers to move to the left when there is anyone pulled over to side of the road, not just emergency vehicles. 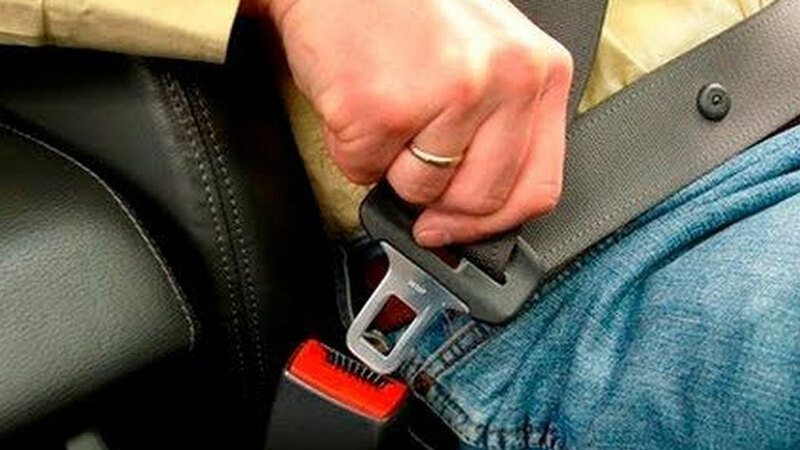 But if unable to safely pull over, they should slow down to make the situation safer. The “Teens & Trucks” program was created in collaboration with the Commercial Vehicle Safety Alliance, the Ariizona Trucking Association, and the Arizona Department of Public Saftey and American Trucking Associations.